Thanks to our Bollywood celebrities we actually have a hashtag called the Gym OTTD. And a big credit goes to fitness enthusiast and hot mommy Kareena Kapoor Khan, the boy we all want our next door Kartik Aaryan and the bold Swara Bhasker. And never have I have ever seen them in a dull gym wear. Kareena donned a denim jacket with patchwork on the shoulders and teamed it with a black bralette and pants. 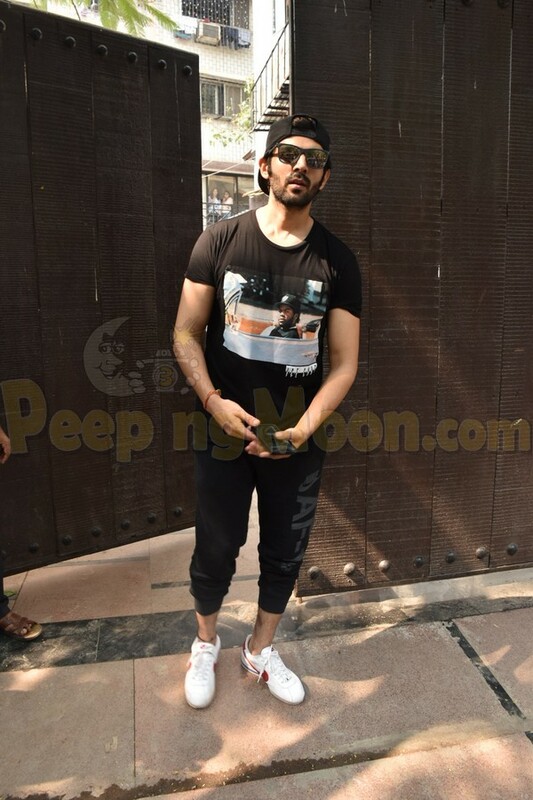 On the other hand, Kartik opted for a printed black tee with matching track pants and that oh-so-stunning cap. Swara opted for a basic black tee with a contrasting pair of pants. Also, our photographers snapped Rakul Preet and Rhea Chakraborty at a cafe.